Last week we got both of out trees up. 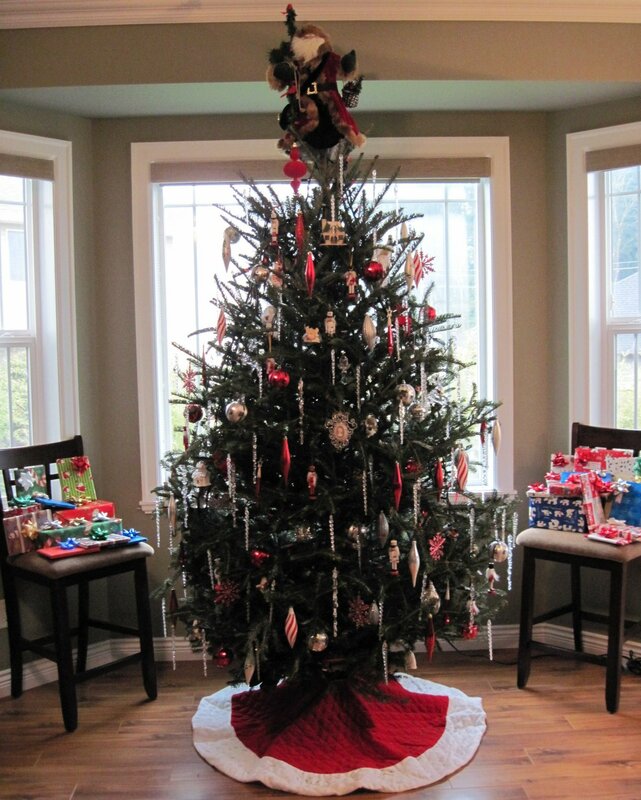 Our "inside tree", as seen at left, is about an 8' Fraser Fir. We like them because while they are fairly full, they do have spaces where you make place ornaments "inside" them. Our tree is mostly decorated with red and/or white ornaments . . . although there are many "specials" that we've acquired over the years. This year's "special" is pretty much right in the middle of the tree. It features a cameo. As my Grandfather told me (and he said that his had told him), "the men in our family have always given cameos to the women they love". Now while I've given my wife a few cameos, this was the first time I found one for our tree. 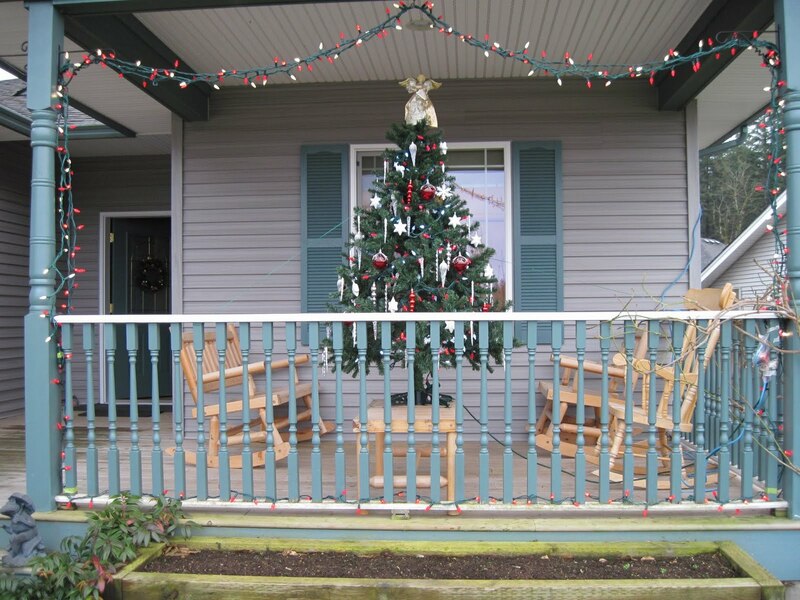 Out on our front porch we have a 6 1/2' artificial tree that must be close to 15 years old. We have found that some larger seemingly garish ornaments (when seen up close) look good from the street. 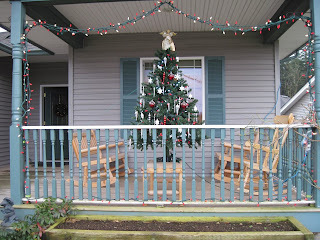 A few of our other trees may be seen in some of my older posts. Click here for the 2009 tree. Click here for the 2008 tree. Here is wishing that you may have a wonderful holiday season. Trees looking great- well done! How's the health by the way? Great looking trees, Jeff! Merry Christmas and Happy New Year to you and your family. Thank you, Gentlemen, I appreciate the sentiments. Alan, I have been hampered by another gout attack . . . this time in my right ankle . . . but it has about run its course, I think, so I should be fine for Christmas. Excellent! I see a good few soldiers on the house tree. Jeff, A good looking tree. We have a few ornaments passed on from parents and grand parents and can trace our decades together by remembering various other ornaments. Merry Christmas to you and your wife and Health and Happiness in the New Year.